These Mirrors are Top Of The Line and are simply brilliant. I am extremely impressed with this towing mirror, so much so I went and bought a second one. 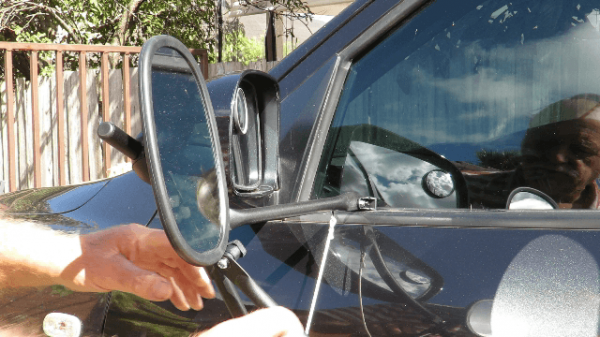 This mirror made by drive, is simply the best caravan towing mirror I have ever used. Its easy to fit, and it holds on to the door panel like it was super-glued into position. There are some locking nuts that can be turned by hand to tighten the bolts. It Evan has a reinforcing line to help prevent parts separating. All up its well thought out, and very well made. This mirror Offers Great visibility, and doesn't move around on bumpy roads, or when a semi trailer is passing on the over side of the road. It virtually stays in whatever position you set it to.